For CASTLE’s Castle and Beckett, after love and marriage comes…a combo “honeymoon”-murder investigation. It’s not exactly the easiest thing to tease what’s to come in CASTLE season 6. 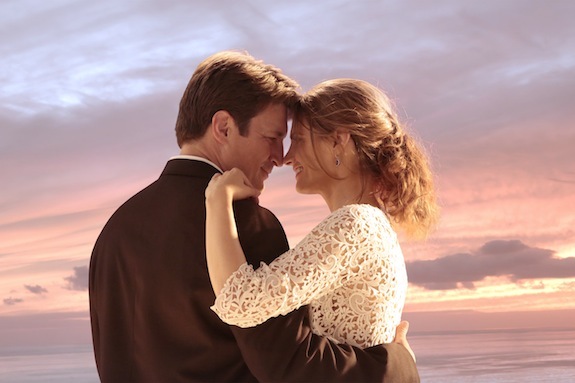 Sure, CASTLE is not the only finale to have a massive cliffhanger to end the season, but it is in the curious position of having both of its big, unanswered questions so intrinsically intertwined with the core dynamic of the show that it makes answering anything about what’s to come a big, fat spoiler.